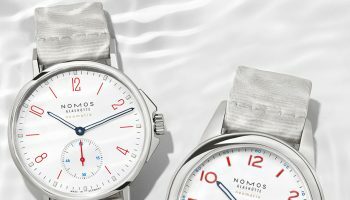 16 models, some larger, some smaller, for men and women, in four eye-catching shades: With the Aqua series, Nomos Glashütte is extending the significant success of the neomatik collection. 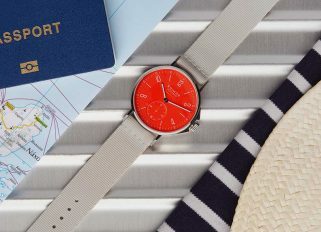 A series of highly precise, extra waterresistant timepieces based on the core models of Club and Ahoi has come together; one that can withstand anything, and look great at the same time. 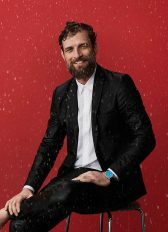 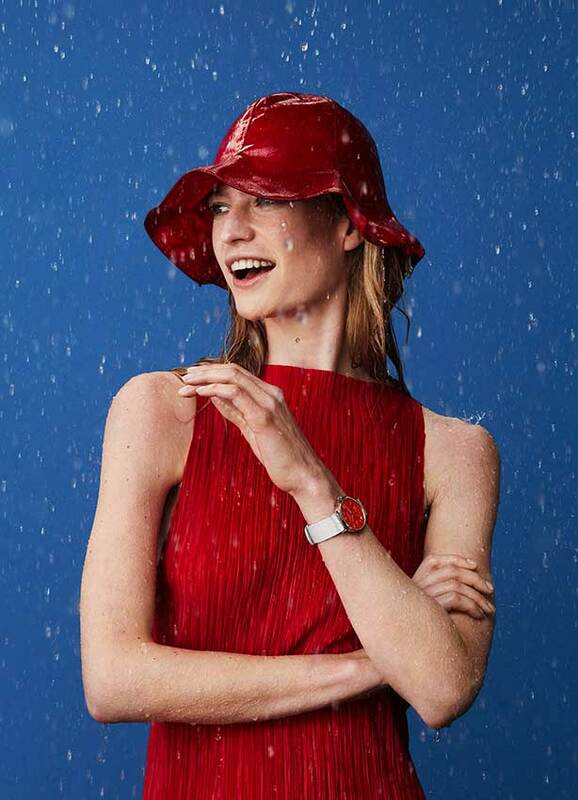 Whether in the office, at a gallery opening, sports event, or during a rainstorm—the Aqua series from Nomos Glashütte is ready for everything that life brings. 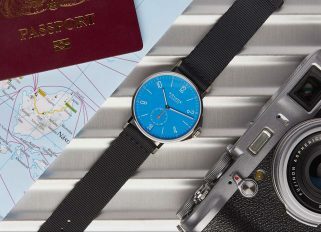 Water-resistant to 200 meters, with an extra-robust case from stainless steel and sapphire crystal glass, these watches are unusually tough. And each of them has its own character. 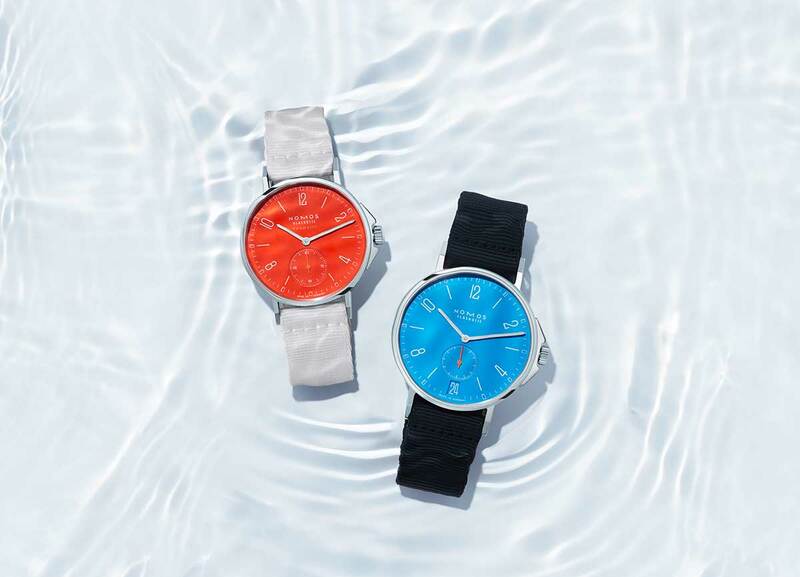 While white silver plating and Atlantic blue are long established in the Nomos color palette, the versions of Club and Ahoi in siren blue and siren red also bring a fresh touch to the collection; bright blue like the sky over the Côte d’Azur, and shining red like a buoy floating far out to sea. 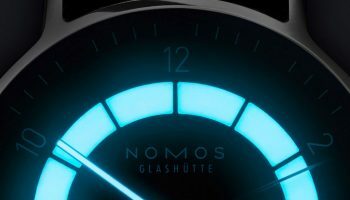 Thanks to superluminova, these watches are also perfectly legible in the dark. 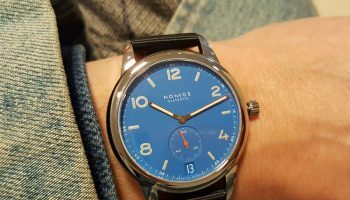 All 16 models come with a woven textile strap in blue-black or light gray, which was designed exclusively by Nomos for these watches and produced in France. While the outer side is robust enough to cope with any challenges coming its way, the finer weave on the inner side wears comfortably on the wrist. 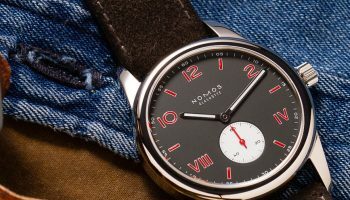 Ahoi is available for the first time in a classic size of 36 millimeters, and Club is also newly available as an automatic with a diameter of only 37 millimeters. 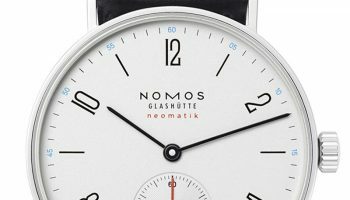 This is thanks to DUW 3001—the caliber that Nomos Glashütte presented in 2015, and which gives these models the additional title of ‘neomatik.’ At only 3.2 millimeters in height, this movement is exceptionally flat and, at the same time, highly precise. 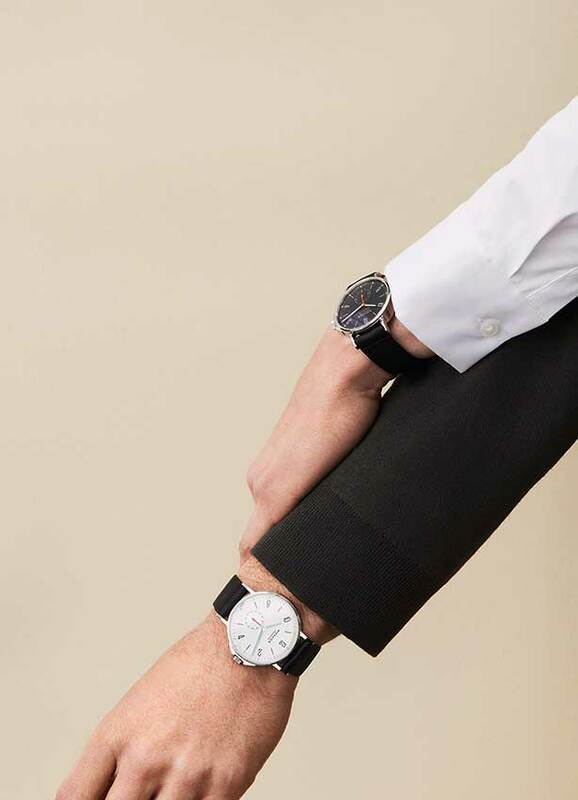 In the new larger watches, the automatic calibers DUW 5001 and DUW 5101 are at work. 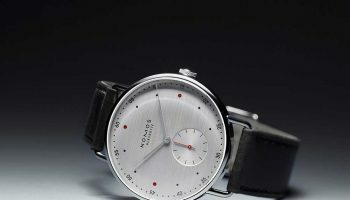 The Nomos swing system, the watchmaking company’s proprietary escapement and a highly complicated pacesetter, is within every watch of the collection.